We've been hearing a lot lately about this pretreatment, this ink, etc. that will allow us to print on polyester fabrics. For the last 4 years Image Armor pretreatments have allowed this to be accomplished. 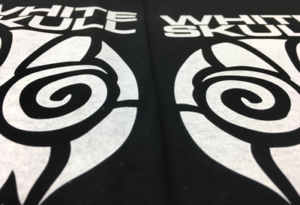 Fortunately with over the past several years we've had additional advancements with inks that also helps make printing on 100% polyester fabrics easier. 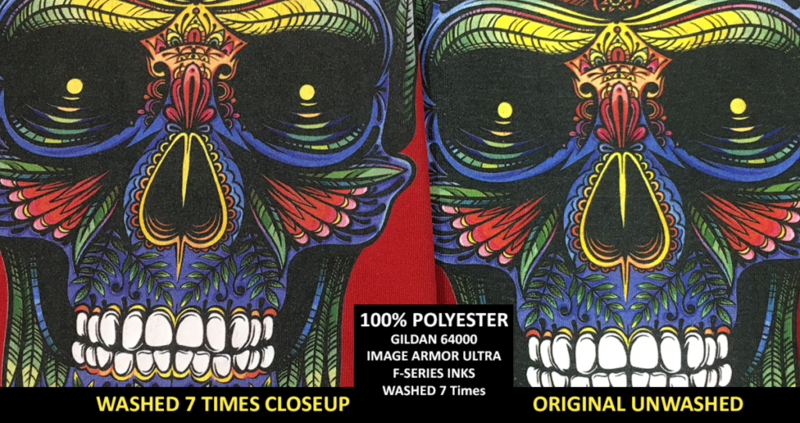 We are working on a series of posts / information to help people be able to print on 100% polyester easier with the Image Armor ULTRA pretreatment. The beauty of this is that there is NO NEED for additional pretreatments to accomplish this process. Image Armor has been able to accomplish a cross platform of fabric from 100% Cotton to 100% polyester printing with A SINGLE PRETREATMENT. Even on RED polyester - which everyone knows is the worst possible candidate for DTG printing and white ink. First, we utilized the Gildan 64000 100% polyester shirts. 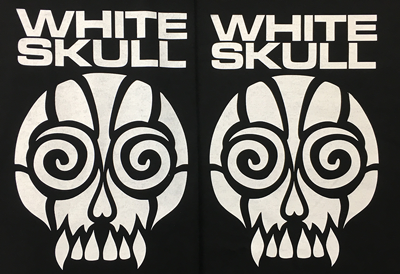 These shirts work well for certain DTG printing as other brands also may work. You'll have to do your OWN testing and experimentation as with ANY procedure to find what works best in your shop. We are only providing this information as a gateway - a starting point - for you to begin your polyester pretreating endeavors. We pretreated with Image Armor ULTRA Ready To Use pretreatment. We printed with the Gildan 64000 100% polyester shirt. We heat pressed using a Stahl's Hotronix Air Fusion. First we hover cured for 1 minute about 1/4" off the shirt @ 265F. Then Heat pressed at 20psi for 20 seconds, let steam out, then repressed again for 20 seconds. Hover the heat press over the wet ink for 1 minute with a distance of 1/4" off the shirt. Heat pressed the shirt on the lowest pressure using a Stahl's Hotronix at 265F. We pressed 3 cycles of 30 seconds each. Washing the shirt was done on medium temperature water with detergent, but for drying it was only tumble dried - NEVER HOT AIR DRY THE SHIRTS. This will prematurely break down the ink film. You can see in our photo to the right here that we are 7 washes into the process and the image still looks great and virtually no breakdown on the ink film. There was a significant amount of "boxing" from the pretreatment on the shirt prior to washing. This did washout after the first wash or two. We know that many people will balk at this because you can't give a customer a shirt with the pretreatment box on it. We understand. However, this is the option at the moment for printing on RED polyester. On a black shirt you will not see the box as visibly or at all. We wanted to show the WORST case scenario here with a RED polyester shirt. The closeup picture (at the top of the page) show the actual printed quality much better. Not only did we not get any real dye migration the print still looks great. We are continually working on doing additional testing but you'll be able to see that the print still looks good. 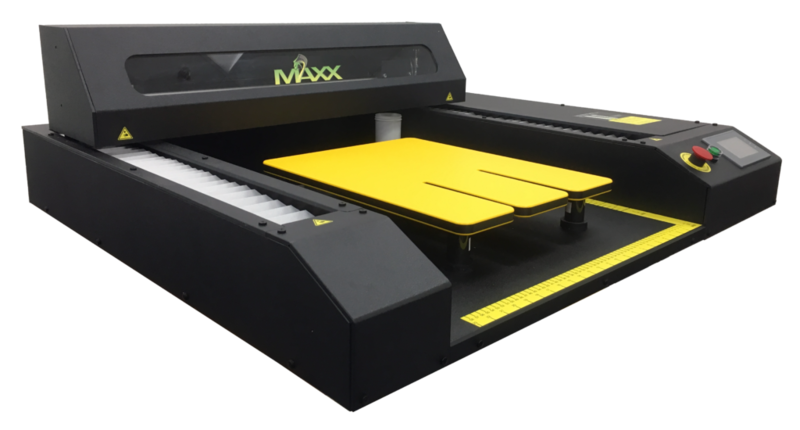 Additional heat press cycles of 4 or 5 cycles might be more advantageous than just pressing the three times that we did here. This will allow the ink to "set" a little better and most likely give a longer product life cycle. 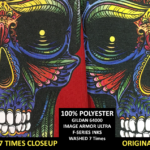 Printing on 100% polyester has been able to be done for years now, but there is still no magic bullet that gets rid of all the current issues associated with polyester printing (dye migration, pretreatment boxing, etc). However, it is possible to successfully complete the process as we've shown here in our example. A little care in pretreating and printing with additional in house testing by DTG shops that want to print polyester will find that this information will be a good starting point. It's not just the inks or pretreatments that make 100% polyester printing a possibility. It is actually a combination of many factors that go beyond ink and pretreatment - the process. So, if anyone tells you polyester printing can only be done with their printer, with only their inks sets, only their pretreatments.... they are lying to you for one reason or another. If anyone tells you they are the only ones that will let you DTG 100% polyester they're giving you a line of BS. We wanted to show it is possible and has been for several years utilizing the Image Armor pretreatments. Can you do it with other pretreatments? Maybe. But we can do 100% cotton or 100% polyester with a single pretreatment. If you need to purchase Image Armor ULTRA you can find a dealer nearest you on our DISTRIBUTOR page. 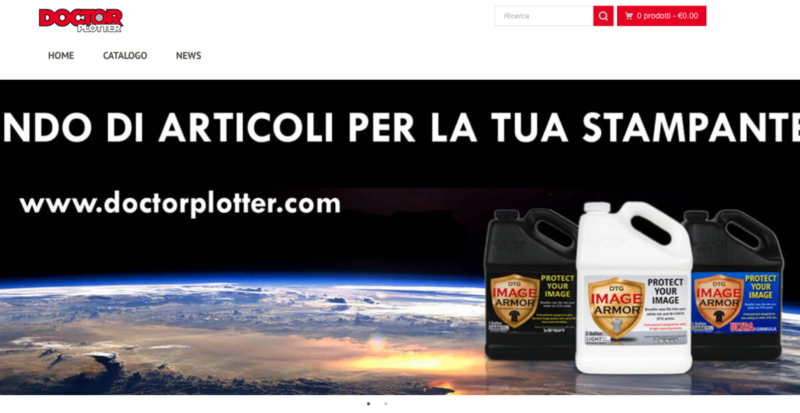 IMAGE ARMOR PRETREATMENTS GAINS WIDER DISTRIBUTION THROUGHOUT THE U.S. 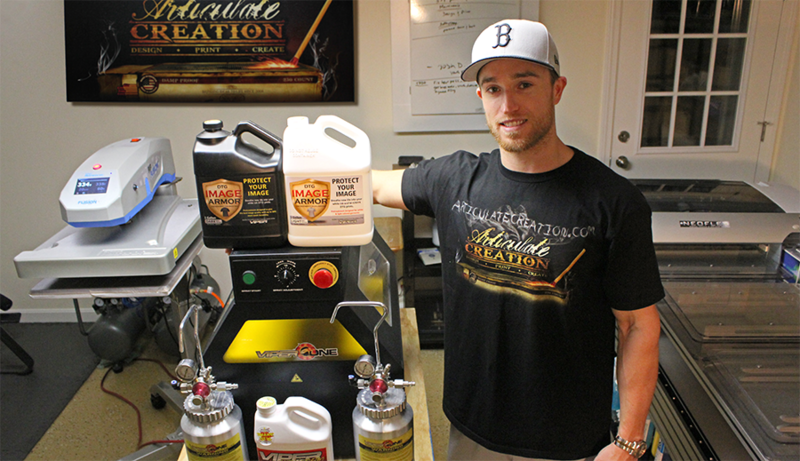 Image Armor is proud to announce the addition of our newest distributing partner, Midwest Sign & Screen Printing Supply Co. Midwest will carry the entire line of Image Armor pretreatments in their 10 locations located in California, Colorado, Indiana, Minnesota, Missouri, Nebraska, Oregon, Utah, Washington and Wisconsin. Midwest has been a leading distributor since 1932. 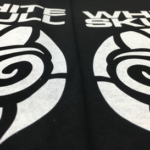 Midwest is a full line Screen Printing, Sign and Direct to Garment wholesale supplier that serves a geographically wide area of the United States. With 10 different locations throughout the country the Image Armor product line will be more readily available to customers with shorter deliver times. For more information you can visit the Midwest website at www.midwestsign.com or by calling Midwest at 800-328-6592. Additional information can be found on the Image Armor website at www.imagearmorpt.com. 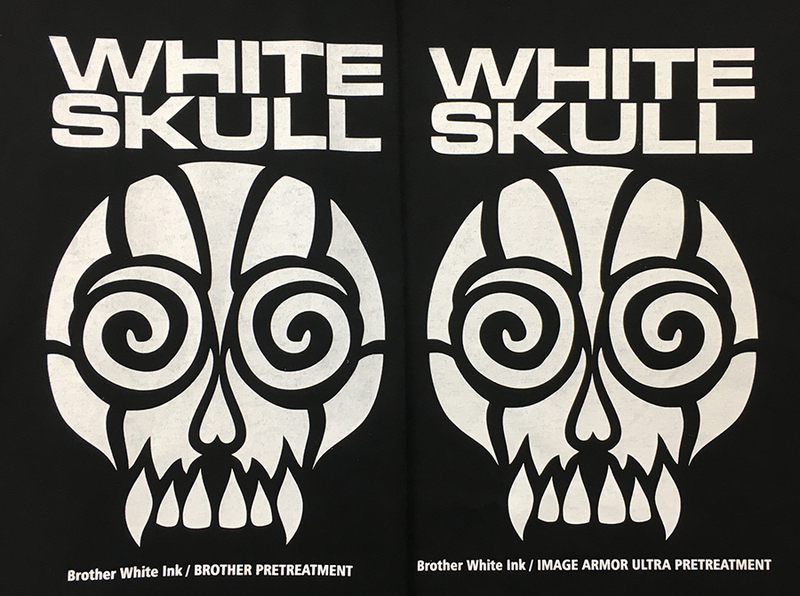 Over the past several months we have been testing the Image Armor ULTRA with Brother’s white OEM ink. We wanted to present our findings with the industry. 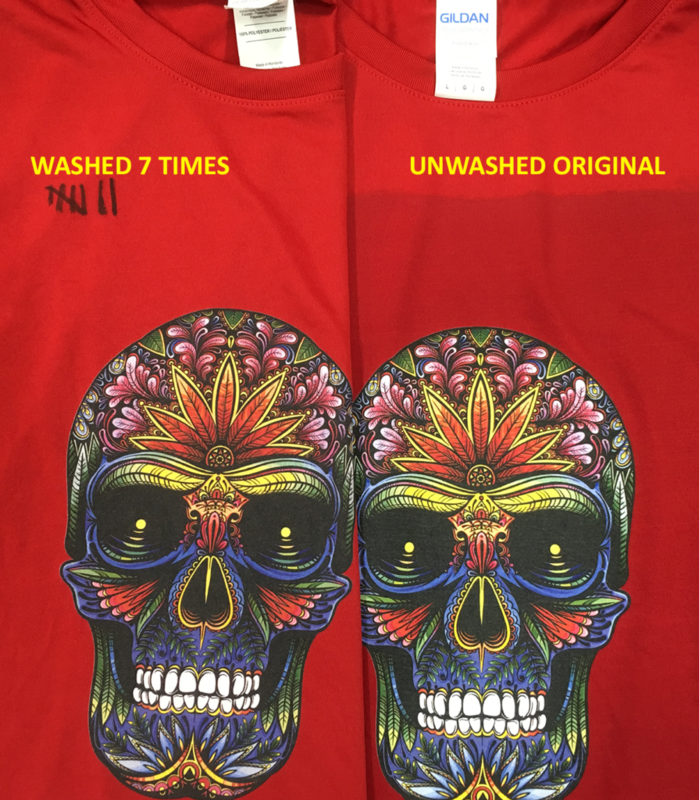 In the past, we really did not effectively endorse using our Image Armor ULTRA dark shirt pretreatment with Brother OEM inks. 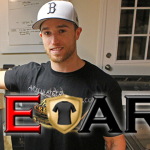 However, in our most recent testing we found that there was virtually NO difference between the results of using Brother OEM pretreatment or Image Armor ULTRA Dark Shirt Formula. We found that ULTRA gelled the white ink just as quickly and effectively as the OEM pretreatment. Photographed at the same time side-by-side, are you able to tell which is Brother pretreatment and which one is Image Armor ULTRA pretreatment? Although it is very difficult to discern any difference between the two prints on your computer screen, there is one that looks slightly better than the other (to give you a hint it is not the OEM). Click on the image to get a larger view to see the actual full results labeled at the bottom of the photograph. We used the same shirt for each print – the Spectra Tees 3100 series black shirt. While using different pretreatments, we did apply the same exact amount and cured the pretreatments the same exact way on a Viper XPT-1000 pretreatment machine. Even the print itself was exactly the same. Below you can see our settings for the above print. The Highlight was set to 7 while the Mask was set to 5. The shirts were printed immediately one after the other. After printing, the ink was cured on a Hotronix manual heat press at 356F for 35 seconds using light pressure. As cane be seen in the photo above, there was no real visible difference between the OEM pretreatment and using Image Armor ULTRA. This makes the ULTRA a great choice for Brother printer owners looking for a good alternative pretreatment that is ready to use – no mixing required. If you have NOT tried Image Armor ULTRA yet, we want you to give it a try for FREE. 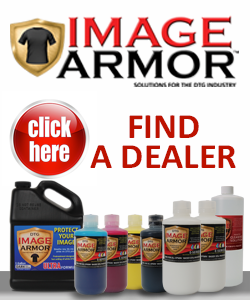 This link will take you to a page talking about our Image Armor LIGHT Shirt pretreatment formula, but by filling out the questions and clicking that you use white ink we will also send a free quart of Image Armor ULTRA. 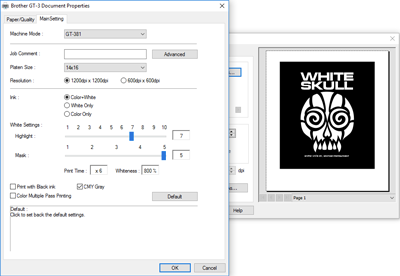 If you are not familiar with Image Armor LIGHT shirt formula for CMYK prints this pretreatment alls for printing on all types of fabrics from polyester to 100% cotton garments (for CMYK prints only). We know you’ll be amazed at the results or we wouldn’t be giving these samples away for free. 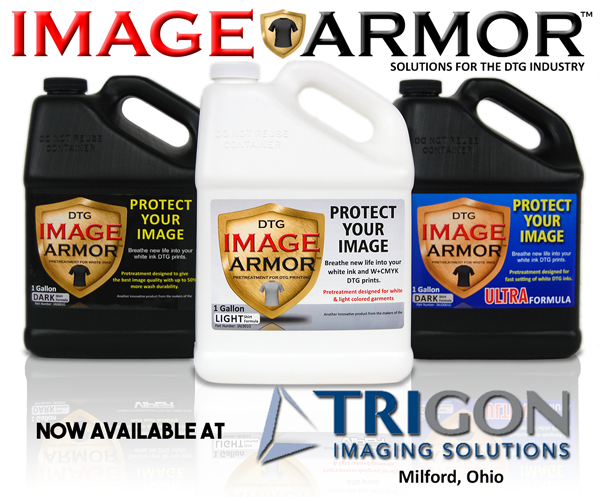 So, if you are looking for an easier to user pretreatment that requires no mixing, give Image Armor a try. You can find a dealer near you on our PURCHASE page. 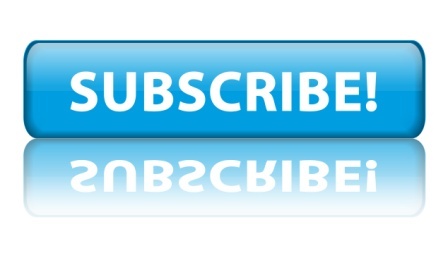 Interested in having your company profiled here? Send us your testimonial and you might be featured on the Image Armor Testimonial web page!